Submission Guidelines are below and can be found on the Submittable site. A printable pdf version is here. Submissions now open as of Feb 1. 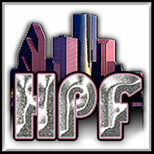 All women selected as Juried Poets are automatically considered for a $250 cash prize established by Sandi Glorfield in honor of the late Lorene Pouncey, one of the founders of Houston Poetry Fest, who passed away December 4, 2011.